One of the things I like about photography is that you can visualize the end result, and create your own story. This can be accomplished in a variety of ways by shaping the scene. 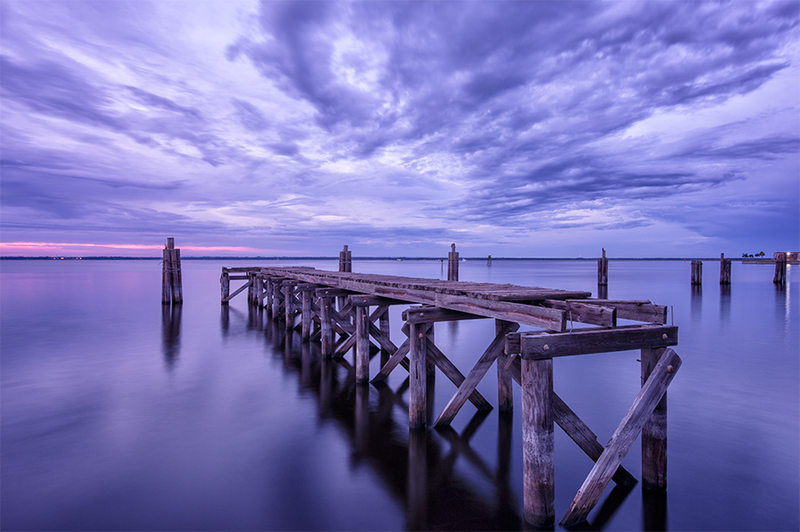 With the photo above, I liked the foundation, the old weathered dock and the open sky. Waiting until after sunset provided the best opportunity to capture dramatic color, clouds and light.